While in Milwaukee visiting customers, I had a few free hours to tour the Harley-Davidson Museum. This incredible venue was probably my favorite places I went to while in Wisconsin. The collection and the museum are both unbelievable. 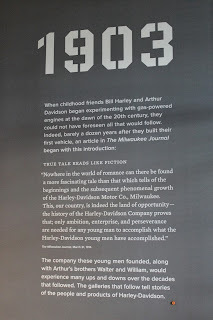 If you have plans to visit Wisconsin, it is definitely worth a few hour visit. 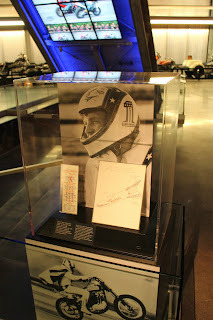 Here are a few photos from my visit to the museum. 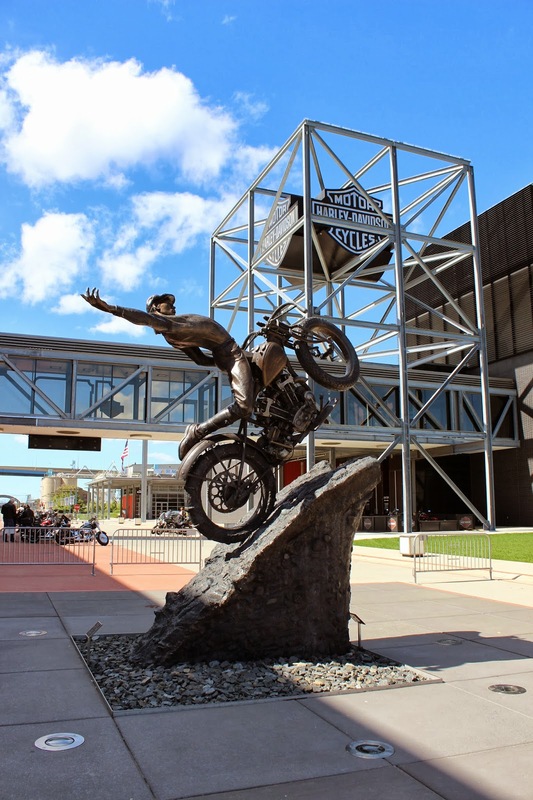 Outside of the museum is a custom built sculpture of a Harley Davidson hill climber. The entire complex includes a restaurant, smaller cafe, a storage facility, banquet facilities and of course, the museum. 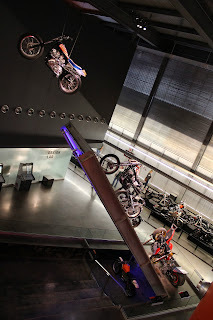 A few local riders getting ready to a take of the museum. 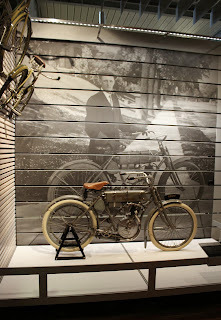 Inside the museum you are greeting by a large photo of the original Harley-Davidson shop and a few relics from the store. Once you head upstairs you get to experience the collection. 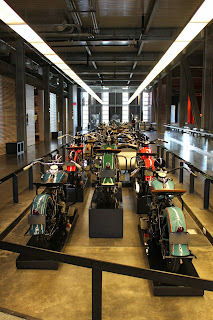 The Harley-Davidson company has accumulated an amazing collection of bikes because of great planning. They made sure to keep a model from every year of production. 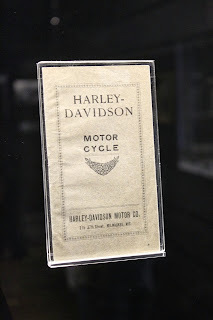 The prize of the collection is the 1903 Harley Davidson Series 1. This motorcycle is considered the very first Harley-Davidson. 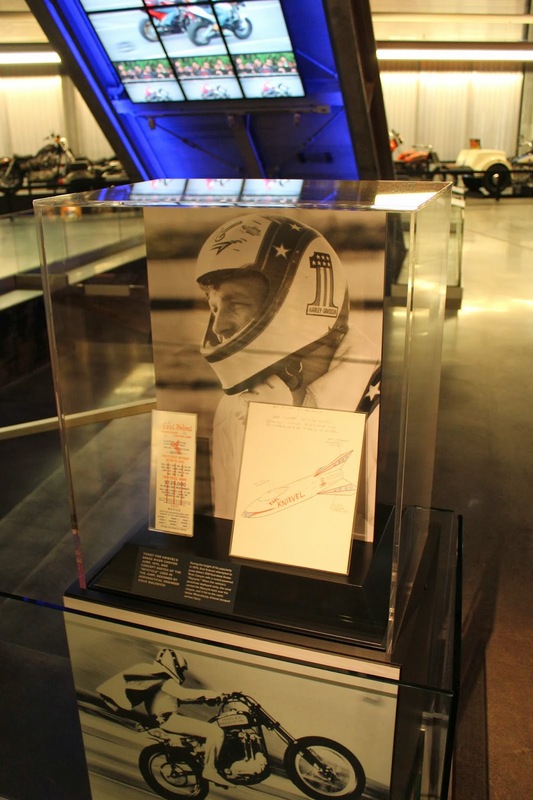 It is preserved and displayed in a room when you first enter the museum. Notice the floor? The 10' X 15' space that is marked off is the size of the original Harley Davidson shop. 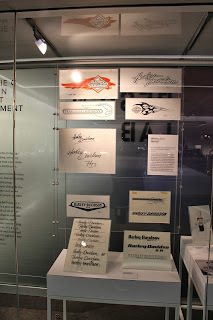 The museum has a large collection of early records, advertisements and build sheets from the early years. 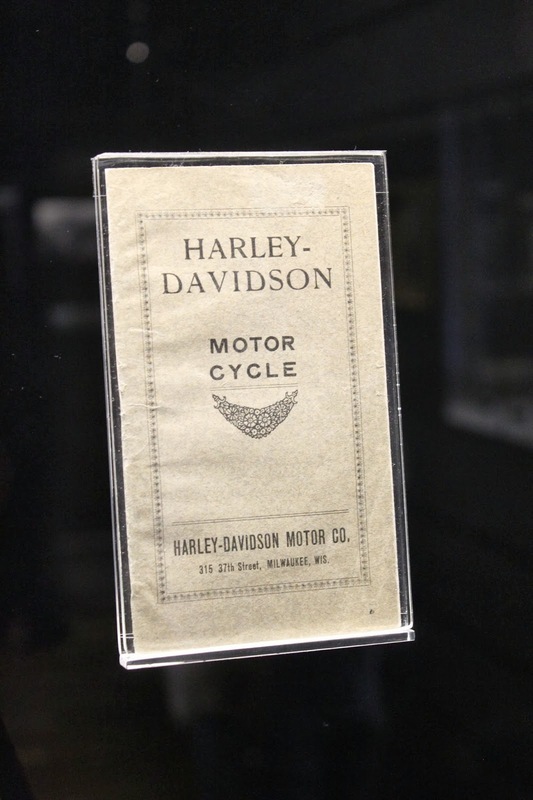 Above is one of the very first catalogs that Harley-Davidson distributed. 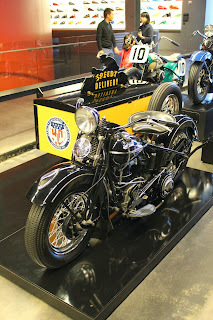 This is a 1941 Harley FL Package Truck. 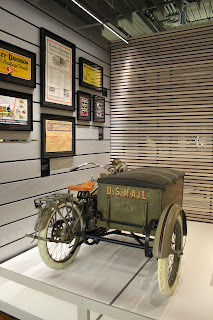 Harley produced the popular package truck from 1915-1957. This is a 1946 WR Racer used in dirt track racing. 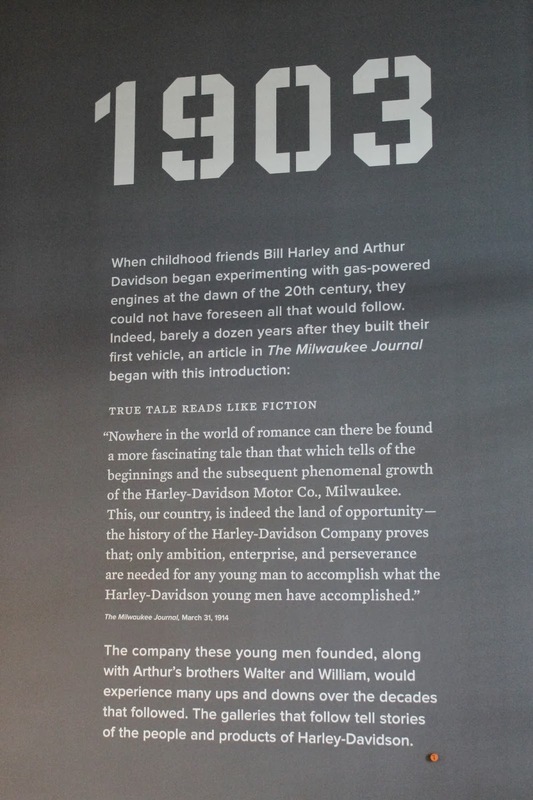 It the background is an unused dealership billboard from 1926. The Engine Room showcases Harley-Davidson performance and engineering through the years of development. This is a pretty cool display. From the front it appears that there is a compete Harley Davidson motorcycle on display, but once you walk around the exhibit you see that it is just a well placed exploded view of a motorcycle. 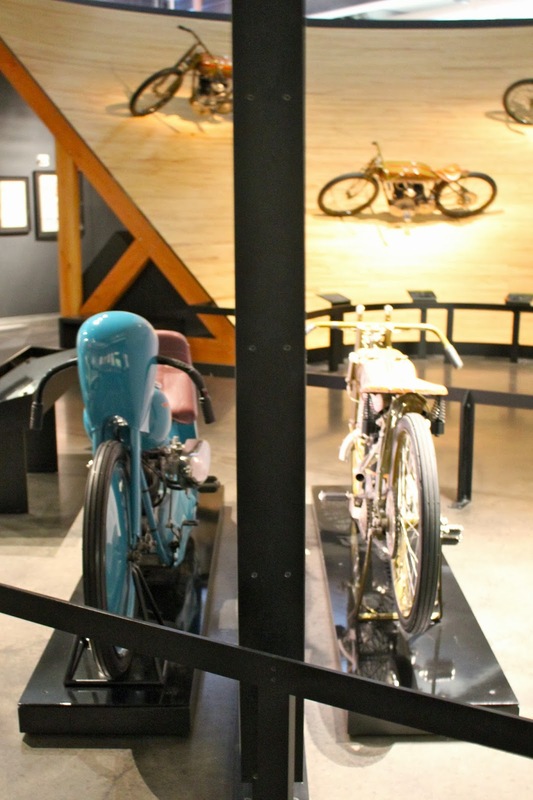 The gas tank wall showcases tank colors and options through the years. 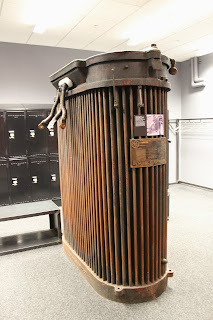 Before heading downstairs to the rest of the museum, I took the elevator up to the storage facility. 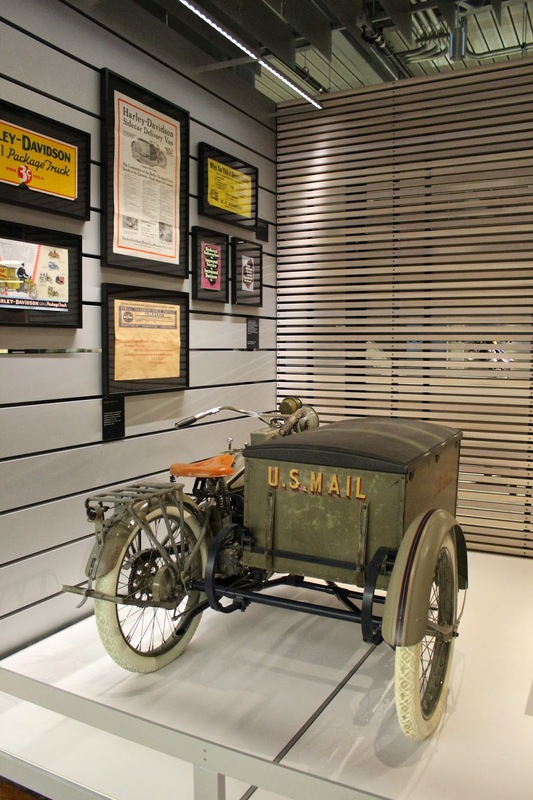 The storage room holds many collectibles from Harley-Davidson's history. 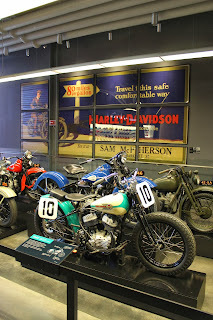 It is also home to a few hundred examples of HD heritage since there is not room to display every bike, all the time. Check out the rows and racks filled with Harleys. 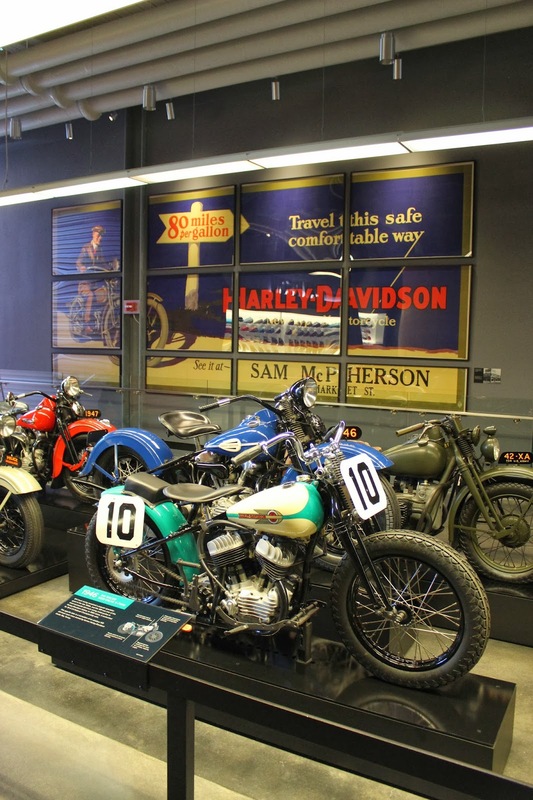 Customers and fabricators have long loved to customize their Harley-Davidsons, so the museum has many classic examples of custom bikes. 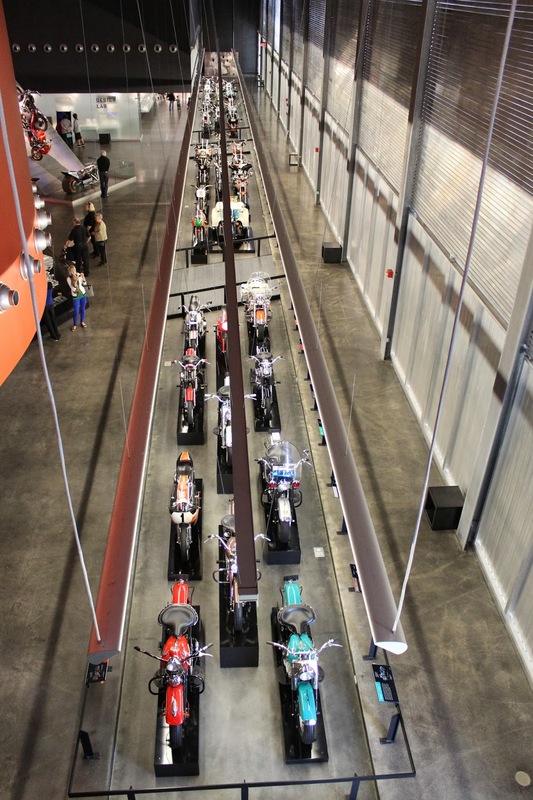 From choppers to art projects to motion picture motorcycles, it is on display. 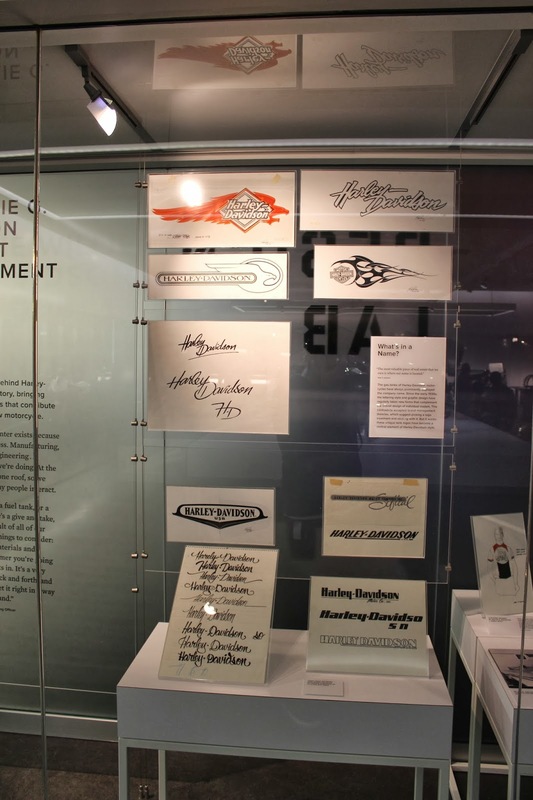 Since 2013 was the 110th anniversary for Harley Davidson, the company produced a special edition logo and artwork for the celebration. 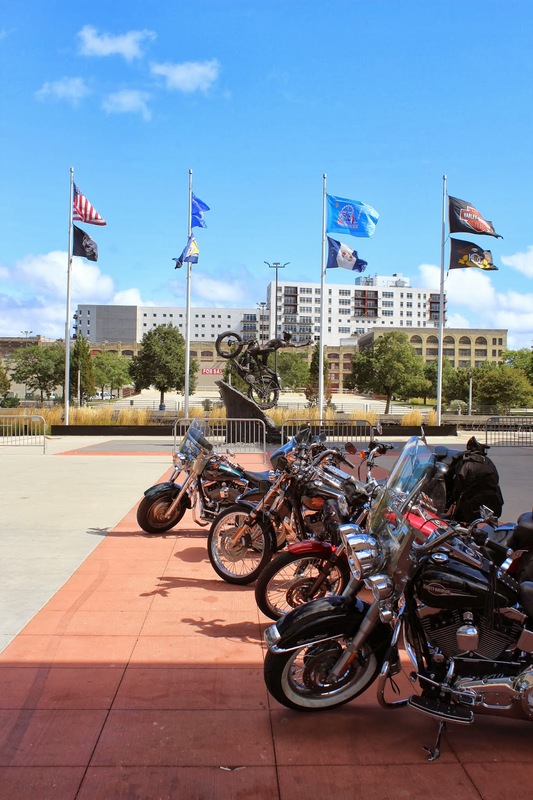 Early this year, the museum hosted an anniversary party which attracted 1,000s of Harley-Davidson enthusiasts to Milwaukee. 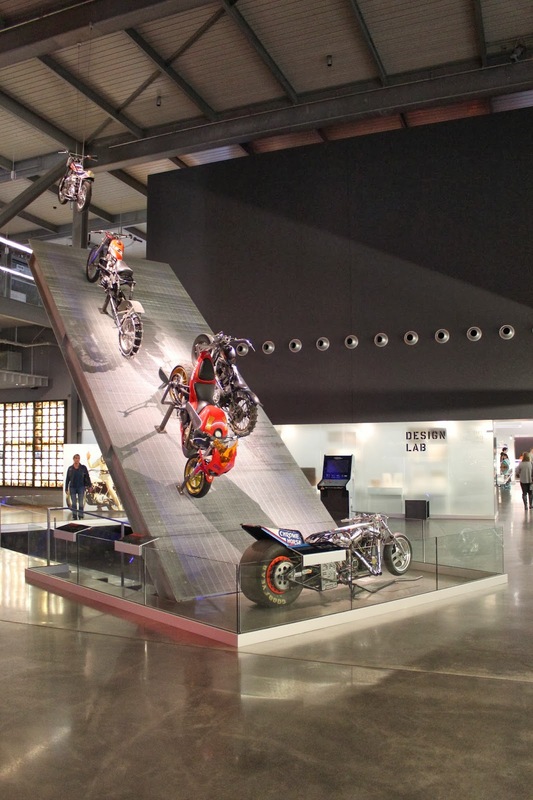 The museum highlights the design process that goes into developing and building not just a logo for a Harley, but the entire motorcycle. 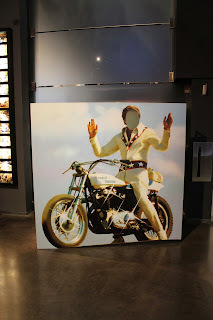 Evel Knievel, a proud Harley rider. You probably heard the story about this bike. After the devastating 2011 earthquake in Japan, this bike was washed away inside a storage container. 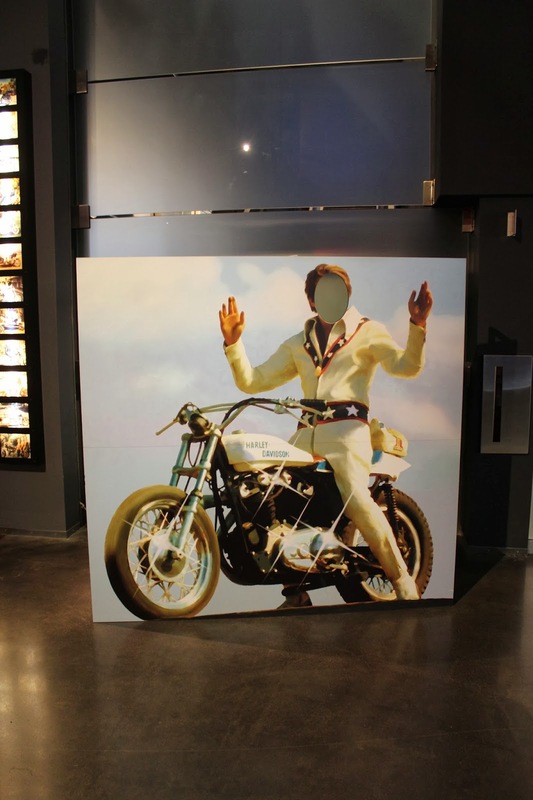 A year later the bike was found in British Columbia. 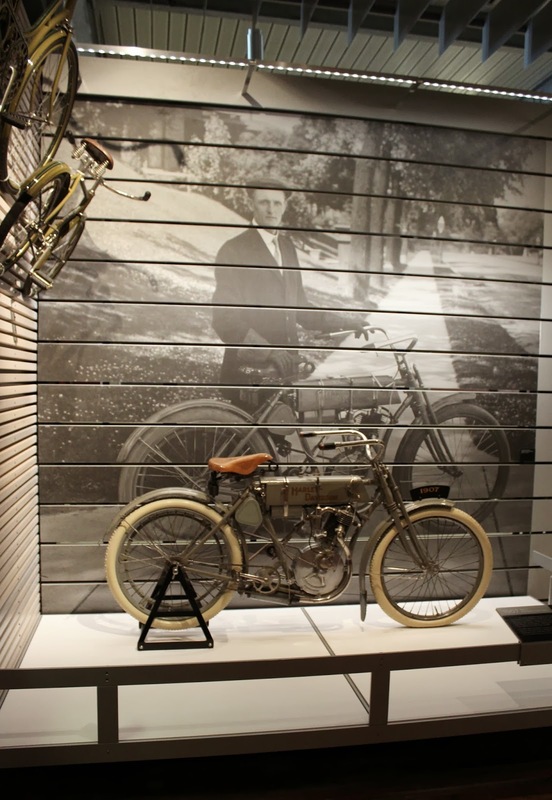 At the wishes of the owner, the bike was sent to the Harley Davidson museum to be kept on display. 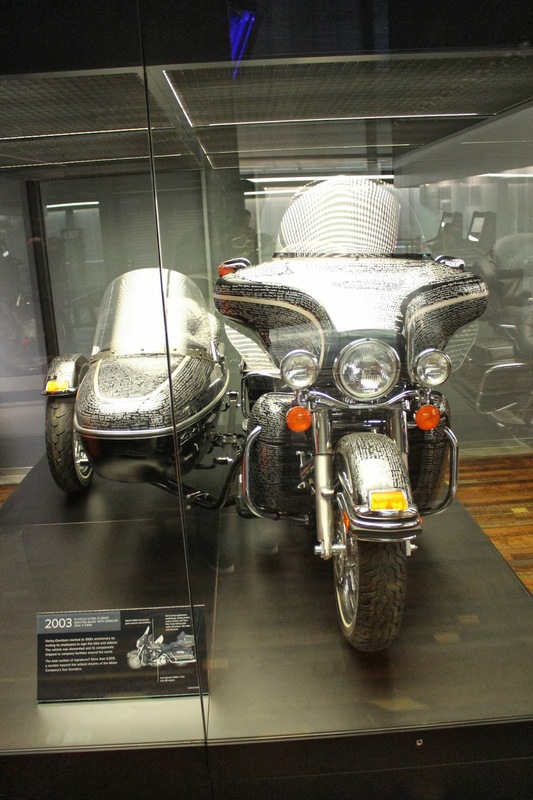 To celebrate the 100th anniversary of Harley-Davidson in 2003, the company has all of its 6,000 employees at the time sign this 2003 Ultra Classic Electra Glide. 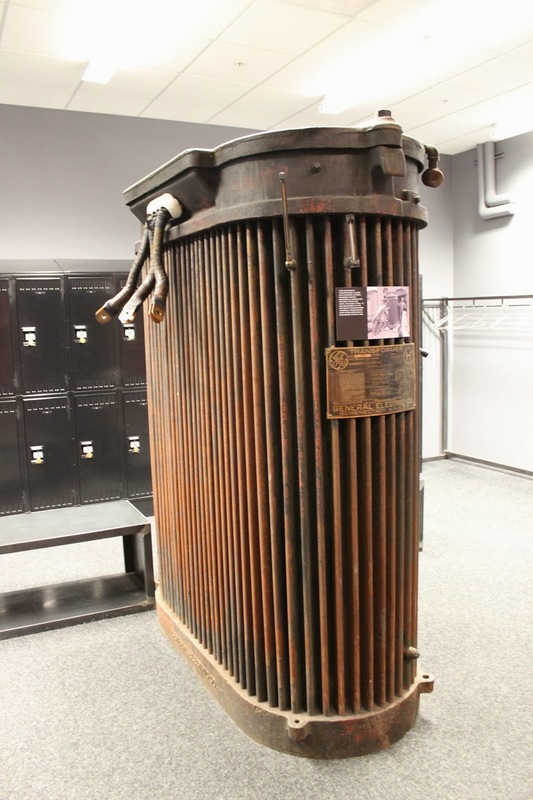 The components of the bike were actually removed and shipped to employees around the world to make sure that there were all included in the bike. Next time you are in Milwaukee, be sure to stop by the Harley Davidson museum and spend a few hours there. Follow along with me on Google+ or subscribing to the blog to stay tuned to everywhere that California Car Cover sends me.